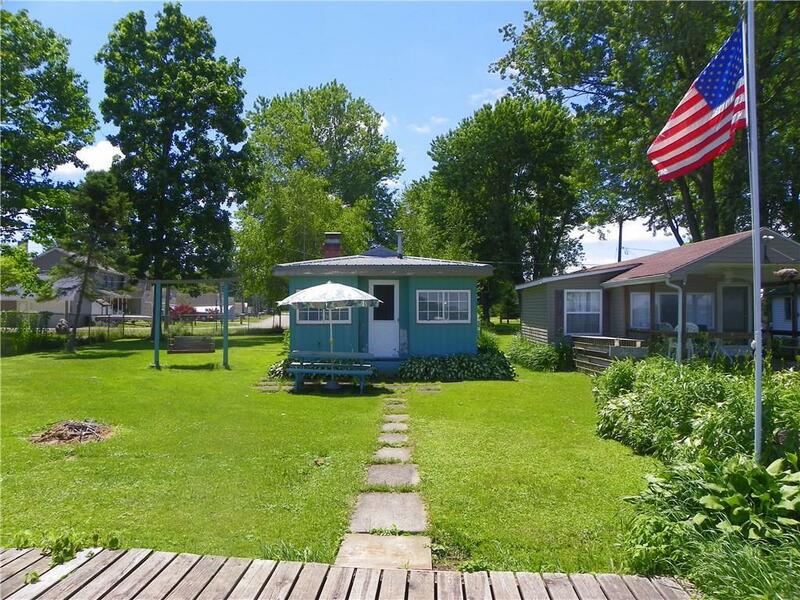 If you are looking to enjoy all there is to offer on Chautauqua Lake, make an appointment now to see this adorable 1-bedroom cottage. This is a year-round home and is being sold fully furnished! The 150 ft. dock is also included in purchase price! Enjoy the many gorgeous sunrises and sunsets while relaxing in your sunroom or around the outdoor fire pit. You will appreciate the wood burning fireplace to retire to after your outdoor winter activities. There are tennis & basketball courts and soccer fields at the nearby Edward Loomis Park. You can begin making your own memories on the lake like the family who has had the privilege of doing so in this well-cared for cottage for the past several decades! LAND IS SOLD SEPARATELY. LAND CAN ALSO BE LEASED, IF DESIRED. Directions To Property: Take Rte. 394 From Lakewood Towards Bridge (I-86). Turn Right On Vukote. Cottage At End Of Street Where It Joins With Loomis Lane (Before The Curve). Look For Sign.